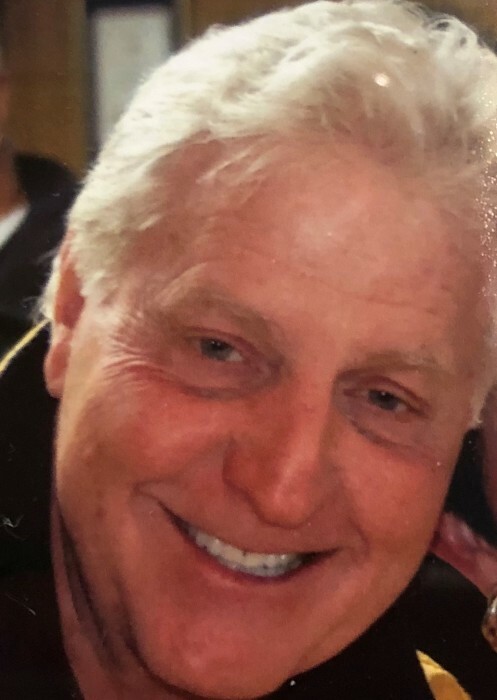 Arden Brand Cooper, age 69, of Kelleys Island, died Friday, Sept. 28, 2018, in his home surrounded by family and friends. He was born Sept. 30, 1948, to the late Arthur and Elizabeth (Schwab) Cooper in Canton, OH, and was one of four children. He graduated from Perry High School in 1966, where he was well known for his basketball talents and welcoming personality. He went on to pursue a higher education at Malone University, earning a Bachelor of Science in Education, and later becoming a grade school teacher and youth basketball coach. In the years to follow, Arden would find his true niche as a sales and business person.. When retiring from the field, Arden permanently settled down in the cottage his father built on Kelleys Island, where his passion for the community led him to become the mayor of Kelleys Island. Arden is survived by his loving wife of 48 years, Lynn (DePuy) Cooper; his daughter Christi (Shane) Reynolds; 2 grandchildren Kaylyn (Zachary) Myers, and Sydney Self; great granddaughter Zelda Myers; 2 sisters Arthea (Daniel) Lucas and Candice (Gary) Baker; one brother Adair Cooper; and one niece Robin Schwartz. Funeral services will be held at 11 a.m. Saturday, October 6, 2018, at Zion Methodist Church, 101 Chappel St., Kelleys Island, OH, with the Rev. Virginia Park officiating. Guests will be received immediately following the service at the VFW Post 9908, 611 Division St., Kelleys Island. In lieu of flowers, the family has requested donations be made to Stein Hospice Service, 1200 Sycamore Line, Sandusky, OH 44870. Online condolences may be shared with the family at www.ransomfuneralhome.com. Ransom Funeral and Cremation Service, Castalia, is in charge of arrangements.